Paddy's Beach Annual Hiring Day! HomeEvents...Paddy's Beach Annual Hiring Day! 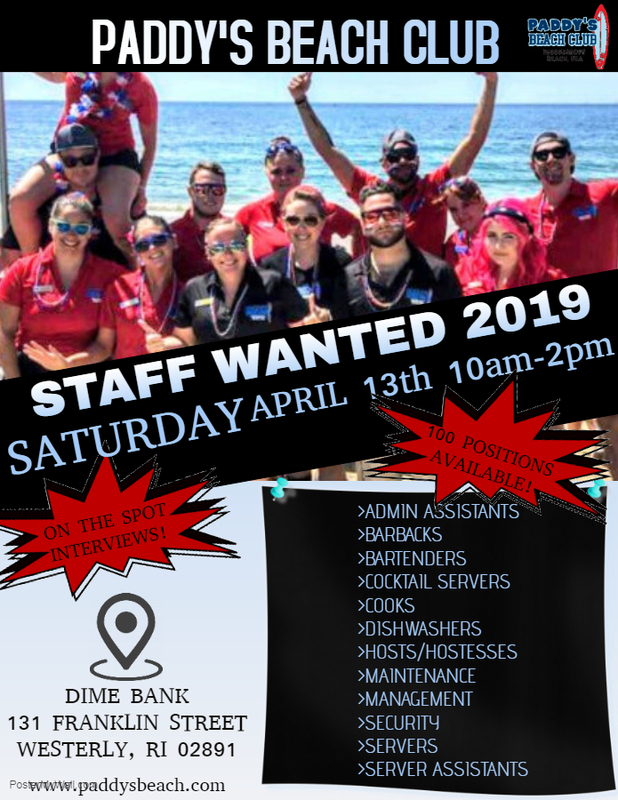 Dime Bank in Westerly will be hosting Paddy’s Beach Club’s Annual Hiring Day! With over 100 positions available and on the spot interviews this Hiring Day is a must! Work on the Misquamicut Beach for the 2019 summer season! We will see you there!